The 95-metre vessel named 'Indian Empress' was "arrested" in Malta as a maritime professionals' union makes attempts to recover over $330,000 in unpaid wages and other costs on behalf of its members. The 95-metre vessel named 'Indian Empress' was arrested in Malta to recover unpaid wages. 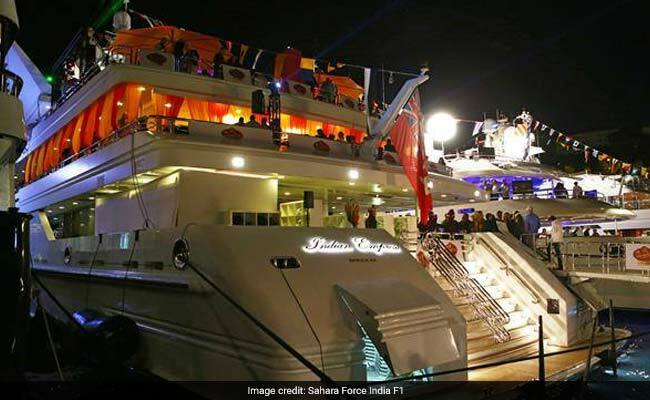 London: A luxury super yacht owned by embattled liquor baron Vijay Mallya, before he reportedly abandoned it last year after his arrest on an extradition warrant in the UK, has been seized by authorities in Europe this week over unpaid wages to its crew. Nautilus International says that Mr Mallya, who is facing an extradition trial in London on fraud and money laundering charges involving his now-defunct Kingfisher Airlines' default of bank loans amounting to nearly Rs 9,000 crores, had "effectively abandoned" the vessel in September last year leaving the crew with unpaid wages amounting to nearly $1 million. "Our members onboard gave their employer and the shipowner multiple opportunities to pay monthly wages, displaying a loyalty and restraint greater than many would show in such situations. These opportunities were regularly ignored by the owner, leaving us with no option but to take the case to the courts," said Nautilus International strategic organiser Danny McGowan. The union said it had been successful in securing a "milestone" payment for crew members via the insurers using a safety net provision in the international Maritime Labour Convention (MLC). While around $615,000 amounting to four months' overdue salary has been recovered, there are more than 40 crew on the yacht and other associated individuals who are owed anything between $6,250 to more than $92,000. The crew members, many of whom remain on board, include some Indians and a mixture of other nationalities including British and east Europeans. "The superyacht sector is seen as one of glamour and glitz, but the sad reality is that crew members can experience exploitation and abuse and that is why Nautilus has become increasingly involved in such justice cases," said Charles Boyle, Nautilus International's director of legal services. He said that the union's success in enforcing the financial security provisions of the MLC for the first time in the superyacht industry marked a significant development for the sector. In line with the "safety net" financial security provisions of the convention, the union ensured the initial payments for the crew by the Norwegian protection and indemnity insurance specialists Skuld last week, he said. The detaining of the 'Indian Empress' in Malta is aimed at enforcing a "maritime lien", seeking the payment of further outstanding wages and other costs over and above the amounts covered by the MLC. The Isle of Man-flagged superyacht will remain docked at Malta until all the remaining unpaid wages and costs are recovered. Mr Mallya had bought the yacht in 2006 and spent millions on refitting it in 2016. The luxury vessel can accommodate up to 12 guests across 17 cabins and boasts an entire deck dedicated to the master suite that includes a gym, sauna and steam room. Most of the 62-year-old businessman's international assets remain frozen or under litigation, with a UK high court order last month allowing him an increase in his "ordinary living expenses allowance" to a maximum of 18,325.31 pounds a week. Meanwhile, the Indian government's extradition case against Mr Mallya is set to return for one of its final hearings before Chief Magistrate Emma Arbuthnot at Westminster Magistrates' Court in London on March 16, with a judgment expected in May. The businessman remains on a 650,000-pound bail bond, extended until April 2 at the last hearing in the trial in January. 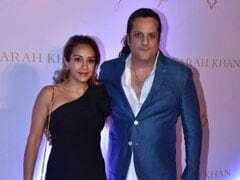 Mr Mallya had been arrested on an extradition warrant by Scotland Yard in April last year and has since been appearing in the extradition trial which opened on December 4 to establish if he can be forced to return to India to face fraud and money laundering allegations.